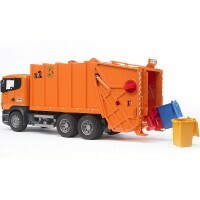 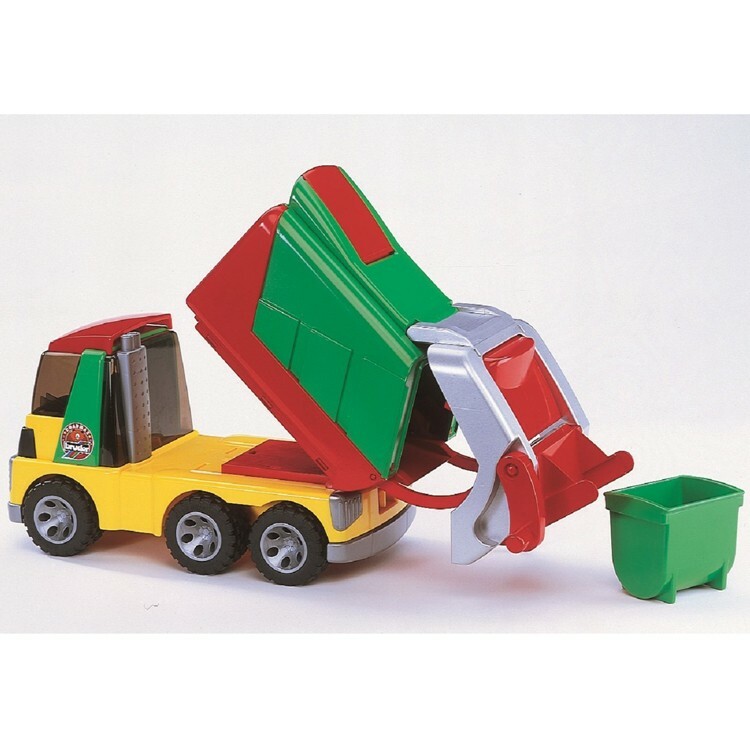 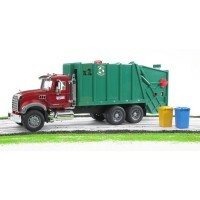 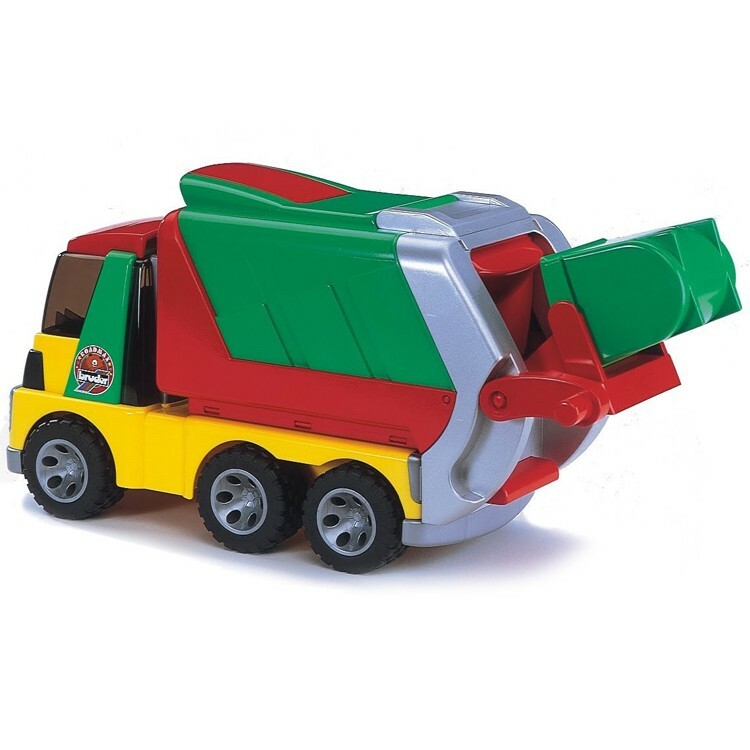 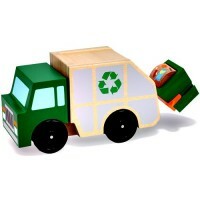 This Bruder's toy garbage truck is a cool and durable toy truck all kids and toddlers will love. 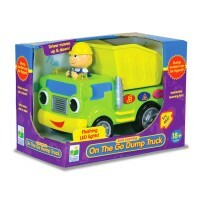 Truck fun for your active little one! 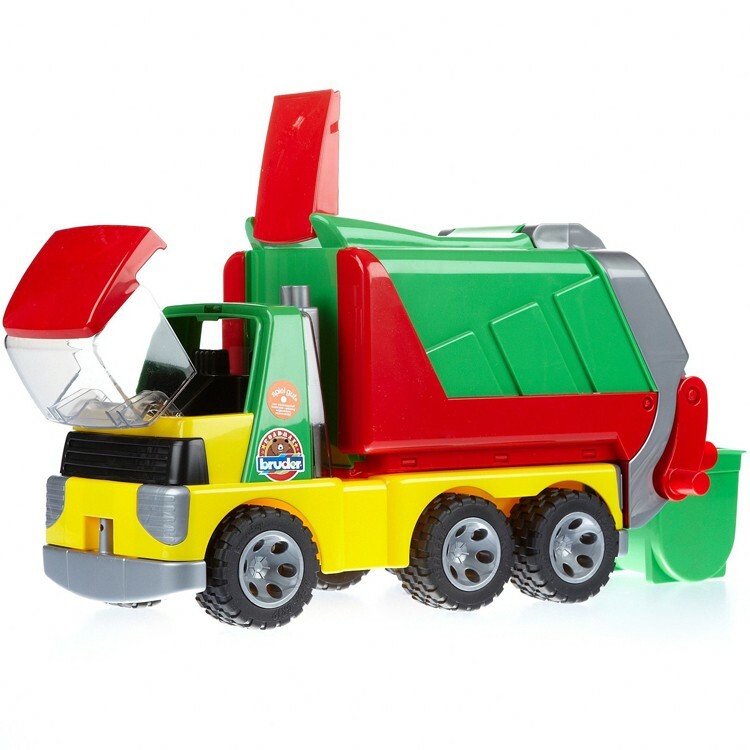 Bruder's Roadmax Toddler Garbage Truck is a cool and durable toy truck all kids and toddlers will love. 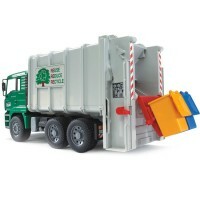 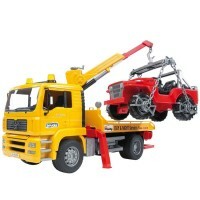 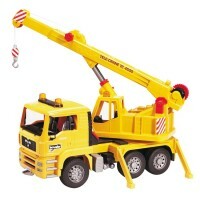 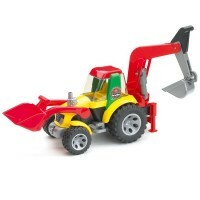 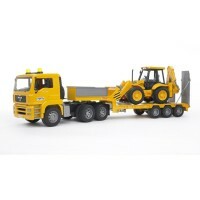 The sturdy plastic truck meets the highest safety standards making it great for even small children. 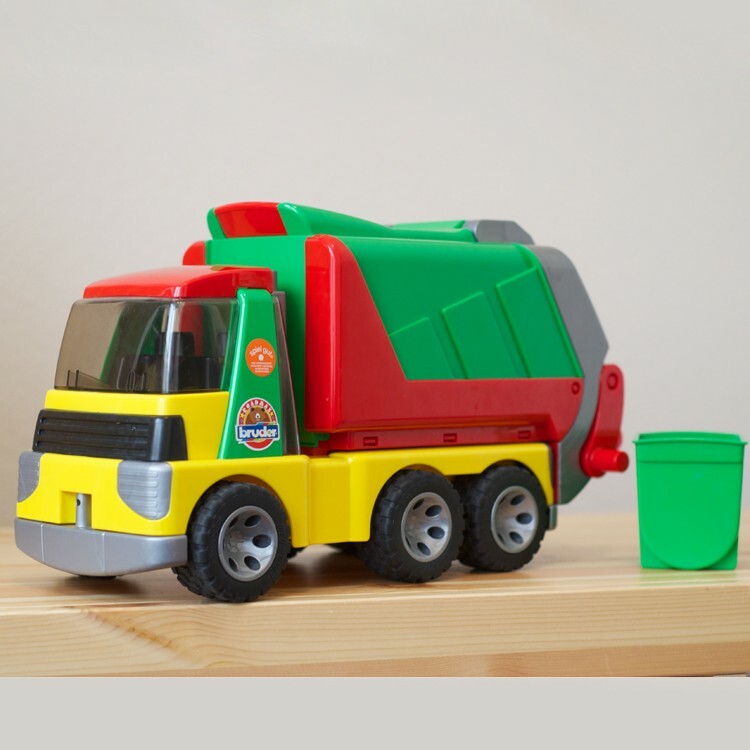 The Roadmax Toddler Garbage Truck from Educational Toys Planet features smoothly moving wheels with soft tires, a colorful refuse container that can be opened and tipped, and a fully functioning lift mechanism that effortlessly tips your dustbin contents into the garbage truck. 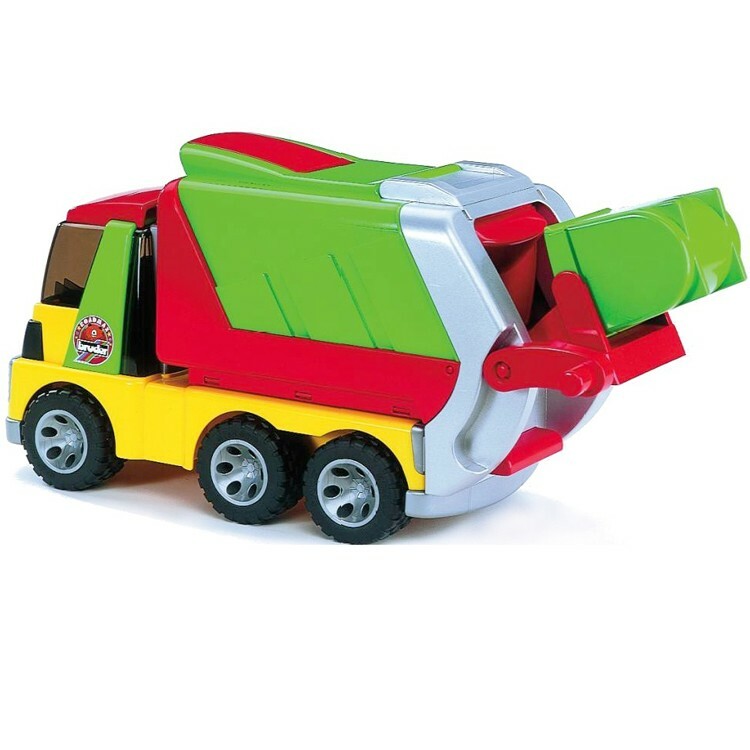 The transparent driver's cab can even be opened from above so you can place a toy driver insider. 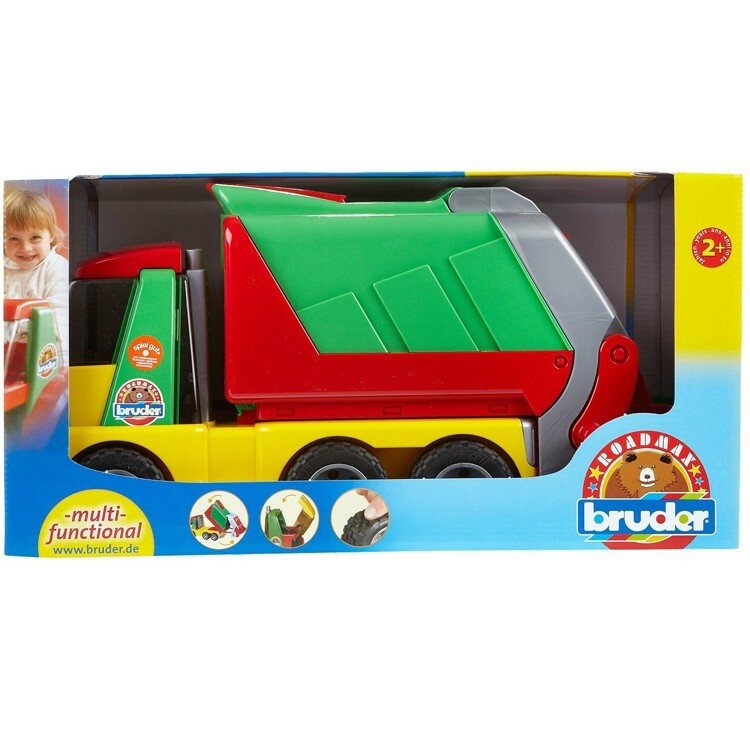 This vibrant and exciting toy truck from the award-winning German toy company, Bruder, is a great way to encourage motor skill development and creative play. 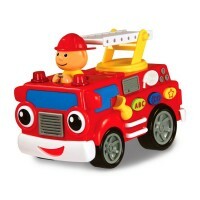 Wheel, push, lift and play! 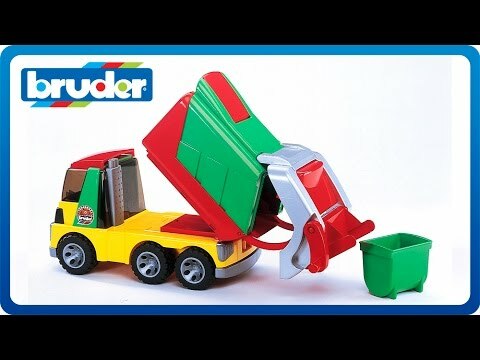 Dimensions of package 9.25" x 17.99" x 7.72"
Write your own review of Bruder Roadmax Toddler Garbage Truck.